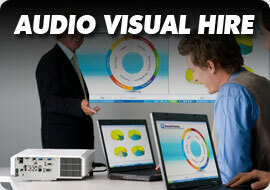 You need to make sure that the size of the projected image is enough for easy viewing by all of your audience. In general you can control the size of the projected image using two methods; increasing the throw distance (the distance between the projector lens and the screen) and zooming. Larger image sizes reduce the concentration of the light as the projector spreads it over a larger area. 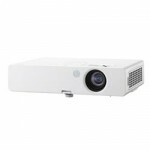 Projector brightness is measured in ANSI lumens, for example a 1500 – 2000 lumens projectors are suitable for small to medium size board rooms or classes with normal lighting and enough for an audience of approx 40 people, a 2500 – 3000 lumens projectors are suitable for larger rooms with windows; these projectors are more flexible in terms of both strong ambient light and larger audience, 4000 + lumens projectors are the choice for large venues like churchs, conference rooms or large class rooms. 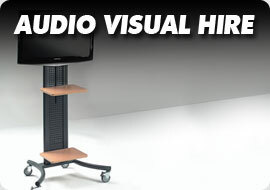 In audio visual the term resolution is used to measure the clarity of the projected image, resolution measured by the number of pixels in the screen and usually displayed in two numbers such as 1024 x 768 (number of pixels across the screen x number of pixels top to bottom)High resolution projectors produce more crisp and clear images than lower resolution projectors, in general we recommend high resolution projectors for clients who need to display fine detailed images or spreadsheets with figures and text. 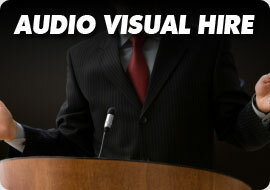 If you doing your presentation at your client’s premises and need to travel or if you will be moving the projector between rooms, choosing a projector that is light in weight and small in size might be a consideration you need to look at. We stock portable projectors that weigh less than 2.5kgs and come in a soft carry case. No hidden charges or fees. The price we quote you is the price you pay. If your requirements don’t change, your invoice won’t either. 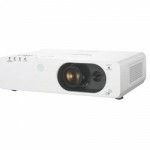 Rental prices start from €75.00 for a 2000 lumen high resolution projector.Projectors come with different specifications and are made to cater for different scenarios, ranging from data projectors for small board rooms to large theater projectors, choosing the right projector to rent is not as complicated as it might seem; just talk to a member of our team and provide us with some information about your event including size of the room, number of the audience, lighting and your laptop resolution.